Helping your church visitor become a regular attender is not rocket science. Church visitor assimilation is ultimately a matter of personal relationships and connections. But there are plenty of good strategies that churches have tried to help those connecting relationships form naturally. If you want to do some good reading on the subject, here are my 3 favorite books on Church Visitor Assimilation. I have read each of these and talk about them frequently when pastors and church leaders ask me about church visitor assimilation. Intimate Space – Don’t go there. He connects those ideas to the intentional pathways they would like their visitors to follow as they get involved in their local church. These principles would be applicable to a church of any size. 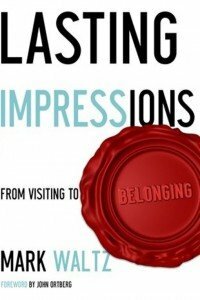 Get your copy of Lasting Impressions: From Visiting to Belonging, by Mark Waltz at Amazon. Osborne’s book looks at a specific way their church helps visitors to integrate. He maps out their plan of sermon based small groups and how they encourage their visitors to become part of that group. Rather than rely on big event programming to attract people, he shows how sermon based small groups help his church members help newcomers become part of the family. The ultimate goal of a sermon-based small group is simply to velcro people to the two things they will need most when faced with a need-to-know or need-to-grow situation: the Bible and other Christians. But we’ve often become so focused on reaching people that we’ve forgotten the importance of keeping people. Osborne’s book is different from Waltz’s book above in that is is a specific application of a system that his church uses to help move people through those spaces of relational interaction. 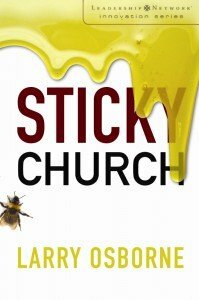 Order your copy of Sticky Church (Leadership Network Innovation Series), Larry Osborne, from Amazon. Searcy maps out the data driven process of church visitor assimilation that has been implemented in his church. He talks about the visitor contact card, follow up emails, and different ways to bless your guest who is coming back for a second or third visit. The entire process is mapped out in this book. He gives statistics and specific strategies that work for them. It is very data driven and dependent upon getting a church visitor contact card filled out. He provides that step by step approach to what you actions you want to take to earn that return visit and ultimately find connections to new friends. Searcy’s book is different from the first two visitor assimilation books I mention above in that it focuses specifically on follow up communication steps. My only caveat to this book: It is written for a generally middle class North American audience with access to technology. If you are in a developing nation that doesn’t have the infrastructure to support this system (a database, postal or mail system, lack of internet access), you’ll have to figure out how to adapt these techniques. 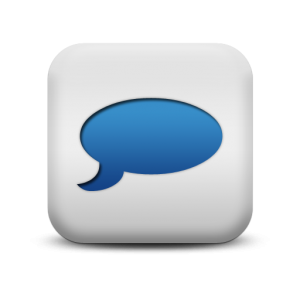 If you work among the urban poor that doesn’t access internet or have access to cell phones, follow up communication may be challenge. 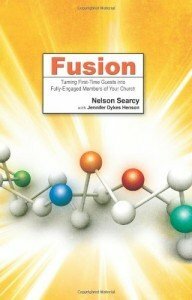 Order your copy of Fusion: Turning First-Time Guests into Fully-Engaged Members of Your Church, Nelson Searcy from Amazon. 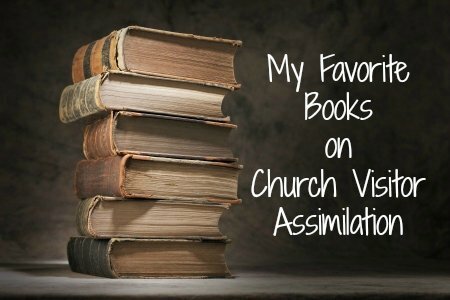 The above three are my favorite books I’ve read about the church visitor assimilation process. They focus specifically on the questions surrounding church visitor assimilation and helping move your visitors to becoming regular attenders. I have intentionally overlooked books that cover all sorts of other themes like getting visitors, impressing visitors, and the like. I’m wanting to focus on books that intentionally assumed you had visitors coming and what types of ideas can help them make those relational connections. Do you have a book recommendation that should be added to this list? Add it in the comments below. Remember, keep the focus on books that almost exclusively deal with that topic, instead of just one chapter. (Note: All amazon links are affiliate links, and I’ll get a few nickels if you buy). WOW what a change for our churches! Thanks for dropping by. I can only imagine how churches might grow. Is there one that you’ve enjoyed the best?